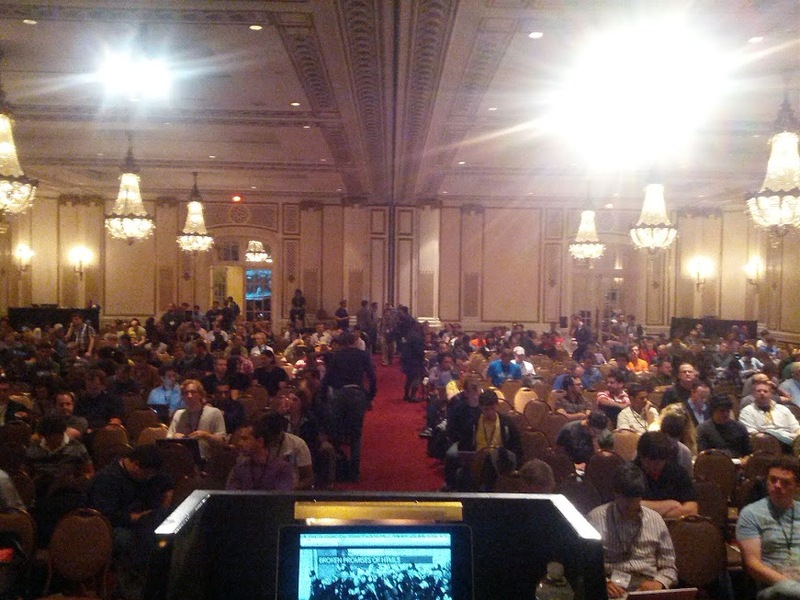 Yesterday Mozilla attended the HTML5 Developer Conference in San Francisco, California to give a keynote presentation. The very packed schedule of the conference already covered a lot of topics around the subject matter, which is why we considered it worth while to contribute with a talk that told tales from the trenches of advocating HTML5 instead of going into technical details. Under the title of “Broken Promises of HTML5 and what’s next?” we reported some of the findings we had when talking to press and people outside the web enthusiast sphere. The Slides of the talk are available online and there is a screencast of the live presentation on YouTube. The organisers of HTML5DevConf promised to release the video recording in the next few weeks. Following the press around HTML5 lately we get more and more the impression that we are on the downward slope of the hype cycle about the cool new tech HTML5. The honeymoon period where every shiny HTML5 demo was heralded as the coolest thing and the future of the internet is over and business analysts and developers start feeling disappointed by what HTML5 is portrayed as. A lot of the things that get us as developers excited have been done in Flash years ago and performed better – even on the hardware of the day. The main mistake we seem to make when advocating HTML5 is not think about what makes it unique and how it is different than other approaches to bring higher fidelity to the web. This talk covers a few ideas we can follow to turn the disappointment around. We will soon deliver a more in-depth article about this and are in talks with business analysts to make that message clearer. Some of the points mentioned here are allowing for re-use of existing knowledge with tools to get Flash developers to create HTML5 content, convert C++ to HTML5 for games using Emscripten (with Bananabread as the flagship demo) and in general not to think about what we can add but instead concentrate on what we can not remove to make our products web products and apps instead of simulating native and mobile apps. It is up to us to move HTML5 from a flash in the pan to a productive platform, and we can do that by re-using existing knowledge and merge it with the web ideals and the basic principles of HTML5. We will not succeed by trying to replace other platforms that have a lot of knowledge and perform very well indeed. I quote :”It is up to us to move HTML5 from a flash in the pan to a productive platform, ” , but it is how we got HTML5 sold , as a replacement for Flash, by every HTML5 evangelist.You cant sell something to people then say, “oh by the way , my pitch was bull …”.